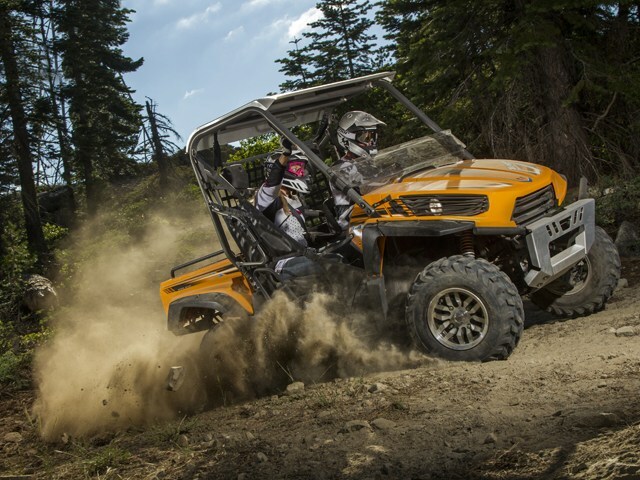 The performance flagship of the Kawasaki Teryx side x side lineup, the Teryx™ 750 FI 4x4 Sport is ready for aggressive use on the toughest trails. 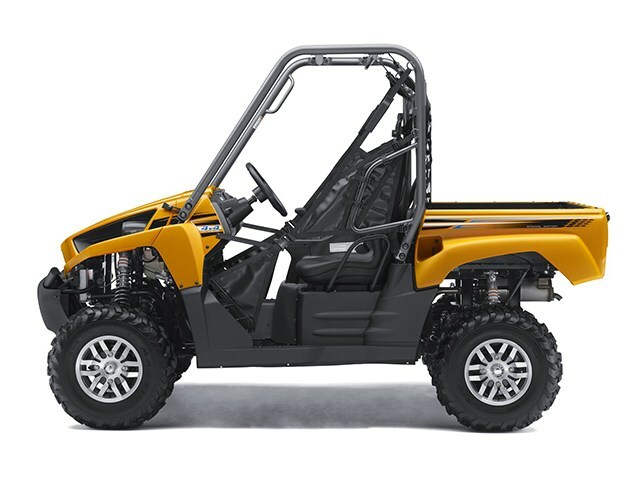 With its lightweight alloy wheels controlled by gas-charged shocks with piggyback reservoirs, the Teryx Sport offers superior levels of wheel and chassis control, even through rough terrain. 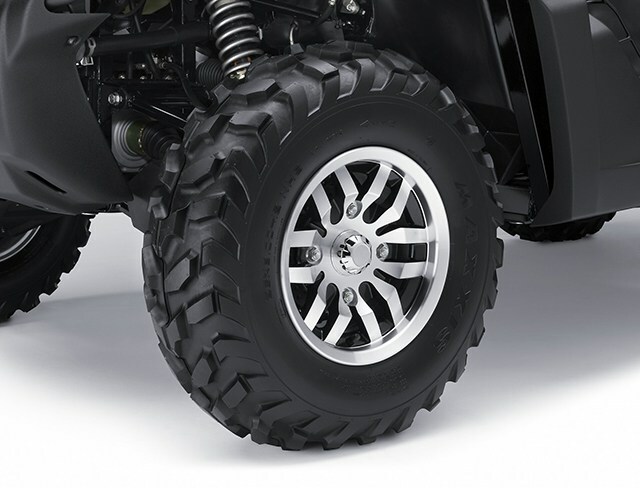 The shocks are also fully adjustable for spring preload, compression and rebound damping, meaning drivers can get the most out of suspension by tuning it to their desired settings. 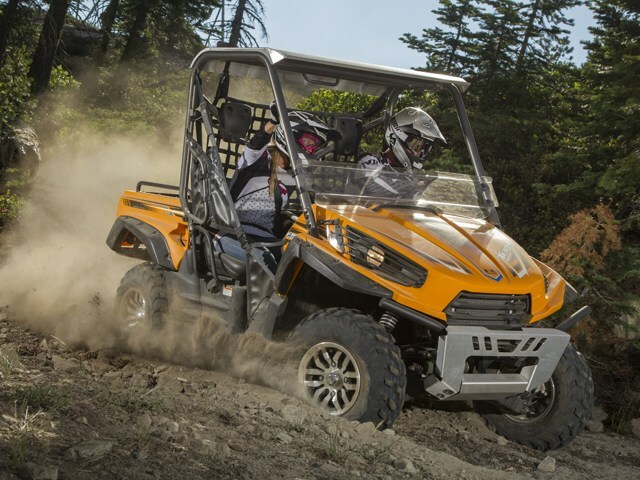 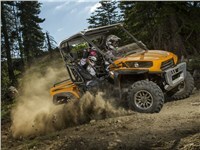 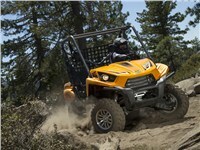 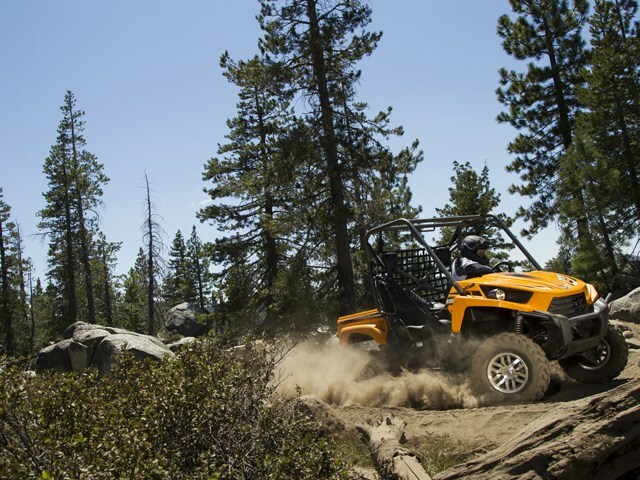 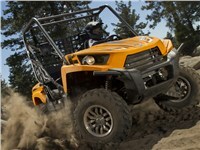 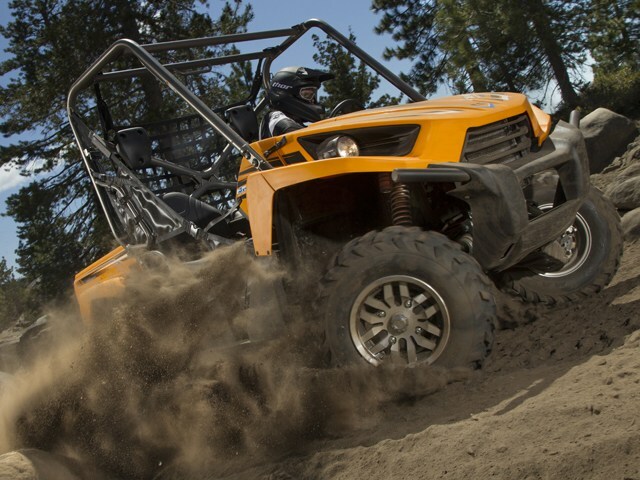 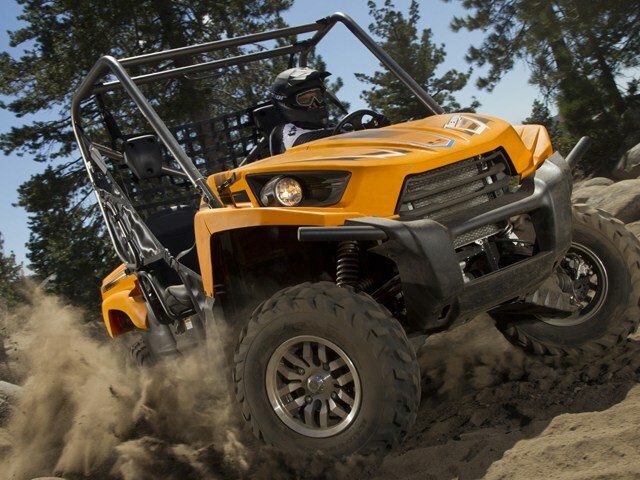 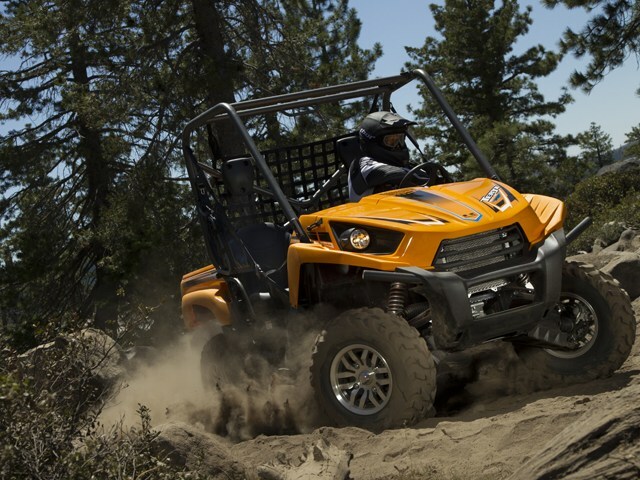 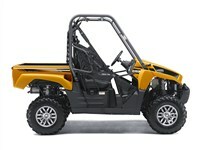 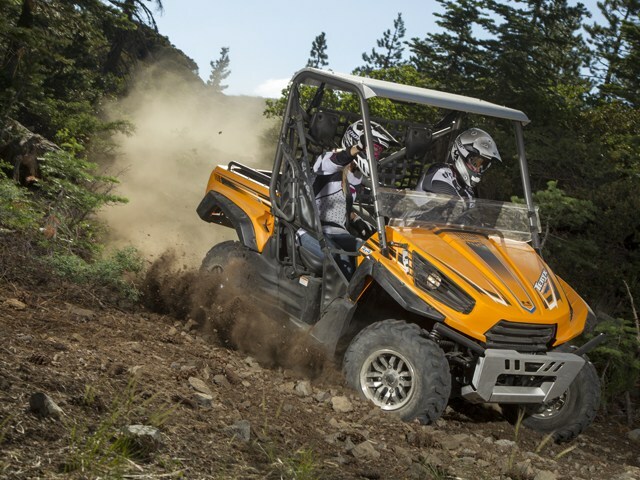 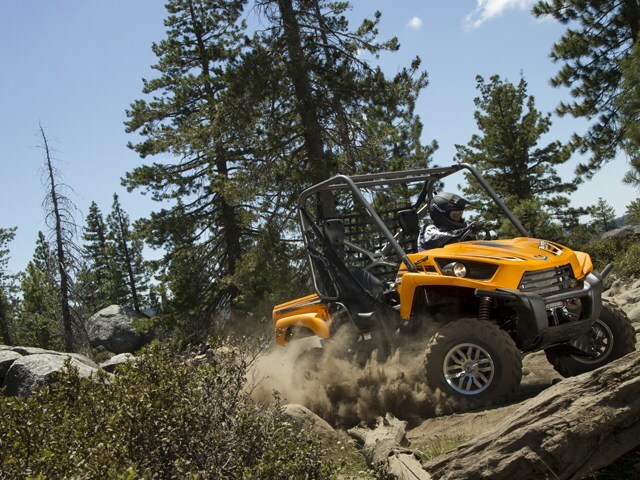 That extra tunability and control translates into more four-wheeling fun. 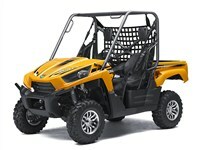 Adjustable dual A-arm with aluminum-body gas-charged shocks with piggy-back reservoirs, fully adjustable preload, and adjustable rebound/compression damping / 7.5 in. Adjustable Independent Rear Suspension (IRS) with reservoir-equipped gas-charged shocks with adjustable preload and adjustable rebound/compression damping / 7.5 in.